"I had the opportunity the other day to screen a reel of Richard's work, and I was amazed at the uniformly high quality of his work. The fact is, he's the only guy around whose work I wish I had done." Richard Greenberg (1947-2018) was a motion graphics and main titles designer from Chicago. He earned a BA in industrial design and an MFA in graphic design. After teaching at both the University of Illinois and the Institute of Design in Chicago, he created a short film entitled Stop, filmed at the 1968 Chicago Democratic Convention. After Stop won first prize at the New York Film Festival Student Competition, Richard got a job working under Pablo Ferro (Dr. Strangelove, Bullitt) in New York. In 1977, he started R/Greenberg Associates with his brother Robert. 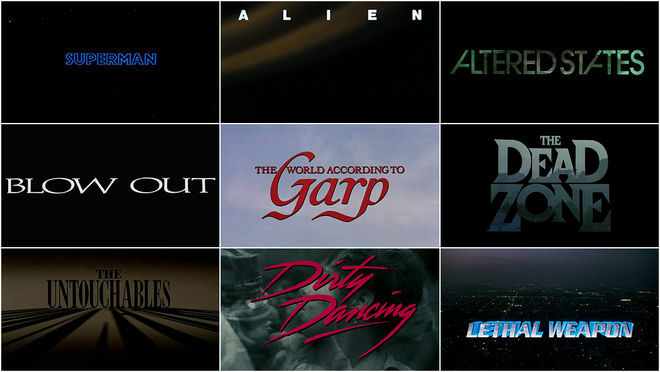 During his R/GA period, he was responsible for the main titles for Superman, Alien, The World According to Garp, Altered States, Dirty Dancing, Death Becomes Her, and The Untouchables, as well as visual effects work on Predator and The Devil’s Advocate. His work with Stan Winston for Predator earned them an Academy Award nomination for visual effects in 1987. In 1989, he directed a feature film called Little Monsters. 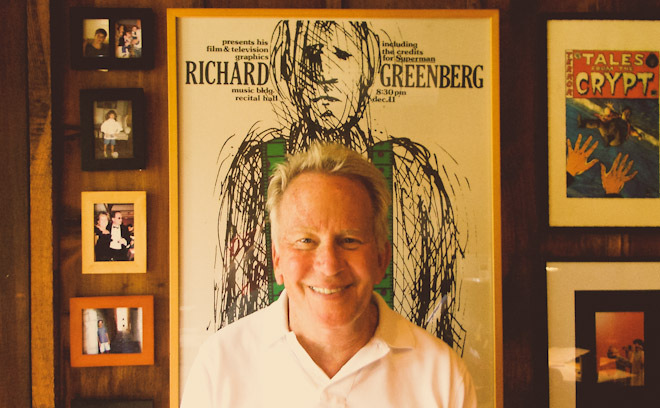 In 1991, Richard moved to Hollywood and formed Greenberg/Schluter with Bruce Schluter and together they designed the main titles for Bram Stoker’s Dracula, Independence Day, the Lethal Weapon series, and The Matrix. Many of his works are documented in the permanent collections of museums including The Art Institute of Chicago, MOMA, and The Louvre. He died on June 16, 2018 at the age of 71 in New York.